The glycemic index or glycaemic index (GI) is a number associated with a particular type of food that indicates the food’s effect on a person’s blood glucose (also called blood sugar) level. The number typically ranges between 50 and 100, where 100 represents the standard, an equivalent amount of pure glucose. The GI represents the total rise in a person’s blood sugar level following consumption of the food; it may or may not represent the rapidity of the rise in blood sugar. The steepness of the rise can be influenced by a number of other factors, such as the quantity of fat eaten with the food. The GI is useful for understanding how the body breaks down carbohydrates and only takes into account the available carbohydrate (total carbohydrate minus fiber) in a food. Although the food may contain fats and other components that contribute to the total rise in blood sugar, these effects are not reflected in the GI. GI tables are available that list many types of foods and their GIs. Some tables also include the serving size and the glycemic load of the food per serving. A practical limitation of the glycemic index is that it does not measure insulin production due to rises in blood sugar. As a result, two foods could have the same glycemic index, but produce different amounts of insulin. Likewise, two foods could have the same glycemic load, but cause different insulin responses. Furthermore, both the glycemic index and glycemic load measurements are defined by the carbohydrate content of food. For example when eating steak, which has no carbohydrate content but provides a high protein intake, up to 50% of that protein can be converted to glucose when there is little to no carbohydrate consumed with it. But because it contains no carbohydrate itself, steak cannot have a glycemic index. For some food comparisons, the “insulin index” may be more useful. Glycemic index charts often give only one value per food, but variations are possible due to variety, ripeness (riper fruits contain more sugars increasing GI), cooking methods (the more cooked, or over cooked, a food the more its cellular structure is broken with a tendency for it to digest quickly and raise GI more), processing (e.g., flour has a higher GI than the whole grain from which it is ground as grinding breaks the grain’s protective layers) and the length of storage. Potatoes are a notable example, ranging from moderate to very high GI even within the same variety. The glycemic response is different from one person to another, and also in the same person from day to day, depending on blood glucose levels, insulin resistance, and other factors. Most of the values on the glycemic index do not show the impact on glucose levels after two hours. Some people with diabetes may have elevated levels after four hours. Why GI is so Important? Foods with carbohydrates that break down quickly during digestion and release glucose rapidly into the bloodstream tend to have a high GI; foods with carbohydrates that break down more slowly, releasing glucose more gradually into the bloodstream, tend to have a low GI. The concept was developed by Dr. David J. Jenkins and colleagues in 1980–1981 at the University of Toronto in their research to find out which foods were best for people with diabetes. A lower glycemic index suggests slower rates of digestion and absorption of the foods’ carbohydrates and may also indicate greater extraction from the liver and periphery of the products of carbohydrate digestion. A lower glycemic response usually equates to a lower insulin demand but not always, and may improve long-term blood glucose control and blood lipids. The insulin index is also useful for providing a direct measure of the insulin response to a food. The current validated methods use glucose as the reference food, giving it a glycemic index value of 100 by definition. This has the advantages of being universal and producing maximum GI values of approximately 100. White bread can also be used as a reference food, giving a different set of GI values (if white bread = 100, then glucose ? 140). For people whose staple carbohydrate source is white bread, this has the advantage of conveying directly whether replacement of the dietary staple with a different food would result in faster or slower blood glucose response. A disadvantage with this system is that the reference food is not well-defined. Low GI…..(55 or less fructose;) …….Examples:beans (white, black, pink, kidney, lentil, soy, almond, peanut, walnut, chickpea); small seeds (sunflower, flax, pumpkin, poppy, sesame, hemp); most whole intact grains (durum/spelt/kamut wheat, millet, oat, rye, rice, barley); most vegetables, most sweet fruits (peaches, strawberries, mangos); tagatose; mushrooms; chilis. Medium GI…..(56–69 Examples: white sugar or sucrose, not intact whole wheat or enriched wheat, pita bread, basmati rice, unpeeled boiled potato, grape juice, raisins, prunes, pumpernickel bread, cranberry juice, regular ice cream, banana. High GI….…. (70 and above) Examples: glucose (dextrose, grape sugar), high fructose corn syrup, white bread (only wheat endosperm), most white rice (only rice endosperm), corn flakes, extruded breakfast cereals, maltose, maltodextrins, sweet potato , white potato , pretzels, bagels. A low-GI food will release glucose more slowly and steadily, which leads to more suitable postprandial (after meal) blood glucose readings. A high-GI food causes a more rapid rise in blood glucose levels and is suitable for energy recovery after exercise or for a person experiencing hypoglycemia. The glycemic effect of foods depends on a number of factors, such as the type of starch (amylose versus amylopectin), physical entrapment of the starch molecules within the food, fat and protein content of the food and organic acids or their salts in the meal — adding vinegar, for example, will lower the GI. The presence of fat or soluble dietary fiber can slow the gastric emptying rate, thus lowering the GI. In general, coarse, grainy breads with higher amounts of fiber have a lower GI value than white breads. However, most breads made with 100% whole wheat or wholemeal flour have a GI not very different from endosperm only (white) bread. Many brown breads are treated with enzymes to soften the crust, which makes the starch more accessible (high GI). The GI Symbol Program is an independent worldwide GI certification program that helps consumers identify low-GI foods and drinks. The symbol is only on foods or beverages that have had their GI values tested according to standard and meet the GI Foundation’s certification criteria as a healthy choice within their food group, so they are also lower in kilojoules, fat and/or salt. Recent animal research provides compelling evidence that high-GI carbohydrate is associated with increased risk of obesity. In one study, male rats were split into high- and low-GI groups over 18 weeks while mean body weight was maintained. Rats fed the high-GI diet were 71% fatter and had 8% less lean body mass than the low-GI group. Postmeal glycemia and insulin levels were significantly higher, and plasma triglycerides were threefold greater in the high-GI-fed rats. Furthermore, pancreatic islet cells suffered “severely disorganized architecture and extensive fibrosis.” However, the GI of these diets was not experimentally determined. In a well controlled feeding study no improvement in weight loss was observed with a low glycemic index diet over calorie restriction. Because high-amylose cornstarch (the major component of the assumed low-GI diet) contains large amounts of resistant starch, which is not digested and absorbed as glucose, the lower glycemic response and possibly the beneficial effects can be attributed to lower energy density and fermentation products of the resistant starch, rather than the GI. In humans, a 2012 study shows that, after weight loss, the energy expenditure is higher on a low-glycemic index diet than on a low-fat diet (but lower than on the Atkins diet). Several lines of recent  scientific evidence have shown that individuals who followed a low-GI diet over many years were at a significantly lower risk for developing both type 2 diabetes, coronary heart disease, and age-related macular degeneration than others. High blood glucose levels or repeated glycemic “spikes” following a meal may promote these diseases by increasing systemic glycative stress, other oxidative stress to the vasculature, and also by the direct increase in insulin levels. The glycative stress sets up a vicious cycle of systemic protein glycation, compromised protein editing capacity involving the ubiquitin proteolytic pathway and autophagic pathways, leading to enhanced accumulation of glycated and other obsolete proteins. In the past, postprandial hyperglycemia has been considered a risk factor associated mainly with diabetes. However, more recent evidence shows that it also presents an increased risk for atherosclerosis in the non-diabetic population and that high GI diets, high blood-sugar levels more generally, and diabetes are related to kidney disease as well. A systematic review of few human trials examined the potential of low GI diet to improve pregnancy outcomes. Potential benefits were still seen despite no ground breaking findings in maternal glycemia or pregnancy outcomes. In this regard, more women under low GI diet achieved the target treatment goal for the postprandial glycemic level and reduced their need for insulin treatment. A low GI diet may also provide greater benefits to overweight and obese women. Interestingly, intervention at an early stage of pregnancy has shown a tendency to lower birth weight and birth centile in infants born to women with GDM. The number of grams of carbohydrate can have a bigger impact than glycemic index on blood sugar levels, depending on quantities. Consuming fewer calories, losing weight, and carbohydrate counting can be better for lowering the blood sugar level. Carbohydrates impact glucose levels most profoundly, and two foods with the same carbohydrate content are, in general, comparable in their effects on blood sugar. A food with a low glycemic index may have a high carbohydrate content or vice versa; this can be accounted for with the glycemic load (GL). Consuming carbohydrates with a low glycemic index and calculating carbohydrate intake would produce the most stable blood sugar levels. The glycemic index does not take into account other factors besides glycemic response, such as insulin response, which is measured by the insulin index and can be more appropriate in representing the effects from some food contents other than carbohydrates. In particular, since it is based on the area under the curve of the glucose response over time from ingesting a subject food, the shape of the curve has no bearing on the corresponding GI value. The glucose response can rise to a high level and fall quickly, or rise less high but remain there for a longer time, and have the same area under the curve. For subjects with type 1 diabetes who do not have an insulin response, the rate of appearance of glucose after ingestion represents the absorption of the food itself. This glycemic response has been modeled, where the model parameters for the food enable prediction of the continuous effect of the food over time on glucose values, and not merely the ultimate effect that the GI represents. Although the glycemic index provides some insights into the relative diabetic risk within specific food groups, it contains many counter-intuitive ratings. These include suggestions that bread generally has a higher glycemic ranking than sugar and that some potatoes are more glycemic than glucose. More significantly, studies such as that by Bazzano et al. demonstrate a significant beneficial diabetic effect for fruit compared to a substantial detrimental impact for fruit juice despite these having similar “low GI” ratings. From blood glucose curves presented by Brand-Miller et al. the main distinguishing feature between average fruit and fruit juice blood glucose curves is the maximum slope of the leading edge of 4.38 mmol·L-1·h-1 for fruit and 6.71 mmol·L-1·h-1 for fruit juice. This raises the concept that the rate of increase in blood glucose may be a significant determinant particularly when comparing liquids to solids which release carbohydrates over time and therefore have an inherently greater area under the blood glucose curve. If you were to restrict yourself to eating only low GI foods, your diet is likely to be unbalanced and may be high in fat and calories, leading to weight gain and increasing your risk of heart disease. It is important not to focus exclusively on GI and to think about the balance of your meals, which should be low in fat, salt and sugar and contain plenty of fruit and vegetables. There are books that give a long list of GI values for many different foods. This kind of list does have its limitations. The GI value relates to the food eaten on its own and in practice we usually eat foods in combination as meals. Bread, for example is usually eaten with butter or margarine, and potatoes could be eaten with meat and vegetables. An additional problem is that GI compares the glycaemic effect of an amount of food containing 50g of carbohydrate but in real life we eat different amounts of food containing different amounts of carbohydrate. Note: The amount of carbohydrate you eat has a bigger effect on blood glucose levels than GI alone. How to have lower GI? *Choose basmati or easy cook rice, pasta or noodles. *Switch baked or mashed potato for sweet potato or boiled new potatoes. *Instead of white and wholemeal bread, choose granary, pumpernickel or rye bread. *Swap frozen microwaveable French fries for pasta or noodles. *Try porridge, natural muesli or wholegrain breakfast cereals. This entry was posted in Health Alert, Health Problems & Solutions and tagged Academy of Nutrition and Dietetics, Blood sugar, Diabetes mellitus type 2, Diet (nutrition), Doctor of Philosophy, Eating, Food, Glucose, Glycemic index, Glycemic load, Harvard School of Public Health, Sweet potato, The American Journal of Clinical Nutrition, Tufts University, Weight gain on May 20, 2015 by Mukul. What do a guava, cabbage and a weed have in common? They’re all foods you should be eating. Here’s why you should add the following 10 fruits, vegetables and plants to your diet. 1. Guava is a slightly pear-shaped tropical fruit known for its sweet, acidic flavor and yellow or pink color. It contains such cancer-fighting agents as lycopene, known for warding off prostate cancer. And with 688 mg of potassium and 9 grams of fiber, this fruit is a must for anyone’s diet. 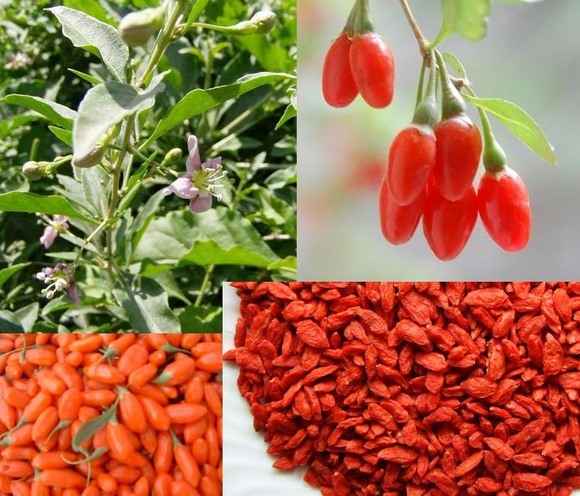 2.Goji Berry resemble raisins, taste sweet and sour, and are red in color. Eating them can help protect the liver, improve sexual function and increase circulation. They also have the highest Oxygen Radical Absorbance Capacity (ORAC) rating (a method of measuring antioxidant levels in food) of any fruit, according to researchers at Tufts University. 3. Dried plums, also known as prunes, are somewhat infamous for their high fiber content. However, don’t forget that they also include high amounts of neochlorogenic and chlorogenic acids which fight the “superoxide anion radical,” known to cause structural damage to cells, one of the primary causes of cancer. 4. Pomegranate juice has been consumed for decades in the Middle East as a popular juice beverage; now it’s becoming popular in the United States. Just 4 oz. a day provides 50 percent of your daily vitamin C needs. 5. Cabbage is a leafy, green vegetable. Its benefits: a healthy supply of nutrients including sulforaphane, a chemical which increases your body’s production of enzymes that combat cell-damaging free radicals and reduce the risk of cancer. 6. Beets are a root known for their dark red coloring and are surprisingly sweet for a vegetable. It is one of the best sources of both folate and betaine, which help to lower your blood levels of homocysteine. That’s good news because homocysteine can damage arteries and increase the risk of heart disease. 7. Swiss chard is a slightly bitter and salty vegetable. It contains huge amounts of lutein and zeaxanthin, plant chemicals known as carotenoids that protect the retinas from age-related damage. 8. Purslane is a broad-leaved weed. It features the highest amount of heart-healthy omega-3 fats of any edible plant and has 10 to 20 times more melatonin than any other fruit or vegetable. 9. Cinnamon is a common spice most of us think of when we make cake or cookies – but don’t overlook a pinch or two on your oatmeal or in your coffee. Cinnamon’s health benefits include controlling your blood sugar and lowering triglycerides and LDL (bad) cholesterol. Active ingredients include methylhydroxychalcone polymers, which increase your cells’ ability to metabolize up to 20 times. 10. Pumpkin seeds are too-frequently tossed away during the traditional October pumpkin carving. That’s a mistake, because just 1 ounce contains 150 mg of magnesium. Pumpkin seeds are also high in zinc and phytosterols, shown to lower cholesterol and defend against cancer. Medicinal Properties: Catarrh, demulcent, diuretic and anthelmintic. Free Food: How I Found it and What I’ve Done With it, by Ristin B. Go Here to Taste The Rainbow! Has modern farming reduced the levels of important phytonutrients in our food? This entry was posted in Healthy Tips and tagged American Farm Bureau Federation, Basic needs, Carbohydrate, Center for Food Safety, Chard, Colin O'Neil, Food, Food & Water Watch, Glycemic load, Humane Society of the United States, Massachusetts, Meat, Milk, Nutrition, The American Journal of Clinical Nutrition, Tufts University, United States, United States Department of Agriculture, Weight gain on May 31, 2008 by Mukul. His colleague Harry Campbell said: “Some people will have higher or lower risk of gout depending on the form of the gene they inherited. “Until recently you would associate gout with boozing and rich food, but there are plenty of other patients who are quite abstemious. This might be a genetic marker for gout risk. This entry was posted in News on Health & Science and tagged Cardiovascular disease, Coca Cola, Davis, Gout, High-fructose corn syrup, Inflammation, Purine, Sugar substitute, The American Journal of Clinical Nutrition, University of California, Uric acid on March 11, 2008 by Mukul.